Geography, economics, and finance are intimately linked disciplines, a relationship that is sometimes misunderstood or ignored entirely by contemporary media. Port access, weather, spatial and network relations between various tiers of government, private sector businesses, and third-party (e.g. academic) institutions, even the positioning of financial headquarters – as recent threats from Standard Life and Lloyds to relocate from Edinburgh to London in the event of Scottish independence demonstrate – can all drastically affect financial markets, long-term monetary stability, and the ability of particular precincts or sectors to recover from such recessions as the 2008-2010 global financial crisis. In the most recent suite of articles in Transactions of the Institute of British Geographers, Reijer P Hendrikse (University of Amsterdam) and James D Sidaway (National University of Singapore) undertook a focused study of Pforzheim, a German city of some 120,000 people in Baden-Württemberg, near the French provinces of Alsace and Lorraine. In ‘Financial wizardry and the Golden City’, Hendrikse and Sidaway critiqued the media’s focus on national-level bailouts, arguing that provincial- and city-level bailouts and financial negotiations were just as, if not more important to comprehending both the scale of the 2008-2010 crisis as well as possible solutions. Further, they recalled and adopted David Harvey’s 2011 argument criticising French and German media pundits and financial analysts alike who saw ‘the crisis in cultural or even nationalist terms’; as somehow a ‘distinctive Anglo-Saxon disease’ based in London and New York City. The authors chose to examine Germany, in part, because of that country’s apparent economic stability in the face of difficult industrial and economic issues in neighbouring Eurozone states. Berlin famously directed the bailout of several EU member states: Greece, Portugal, and Spain. But a closer examination revealed a significantly more complex and debt-ridden landscape. Various German cities were ‘like Greek islands within Germany’, Die Tageszeitung reported, ‘having slowly but surely drowned in their debts over recent years’ (p. 195). Pforzheim, following a trend blazoned by other cities in the Rhine heartland, bought a large series of Deutsche Bank interest-rate swaps. This speculative maneuvre, popular in the world of hedge funds and day-trading currency exchanges, permits institutions (e.g. a city) to obtain a more cost-efficient fixed-rate interest arrangement enjoyed by another corporation. Ideally, both parties benefit from reduced interest-rate-associated costs. However, the risks are highly variable, and dependent on the financial stability of both parties. As A R Sorkin described, and Hendrikse and Sidaway reiterated, German cities were ‘gambling that [their] costs would be would be lower and taking on the risk that they could be many times higher’ (p. 196). Theoretically, Pforzheim should have been a model city. After enduring a horrific bombing campaign near the end of the Second World War, Pforzheim’s economic base recovered, thanks to longstanding jewelry and watchmaking industries in the city. But Pforzheim’s geographical location limited its growth. The city shares Baden-Württemberg with Stuttgart, Heidelberg, and Mannheim, each major cities with significant economic and political clout. These cities traditionally attracted major corporations away from such smaller, more specialised urban centres as Pforzheim. Although the financial stresses of the late-2000s put pressure on all German cities, smaller, less economically vibrant communities suffered significantly worse. A Pforzheim administrator summarised the city’s awkward geostrategic situation: ‘We are a jewelry- and watchmaking city that has brought a relatively mono-structured economy’, more sensitive to economic shifts than larger, more diverse cities as Frankfurt-am-Main and Cologne (pp. 198-99). In a dangerous game of financial roulette, Pforzheim and other small German cities engaged in increasingly complicated and risky collaborations with German and EU financial institutions – unaware of these banks’ own instabilities. Pforzheim’s recession, the authors concluded, was demonstrative of how integrated German and continental European financial markets are to Anglo-Saxon banking paradigms, even as they continue to assert a supposedly distinct, fiscally conservative methodology and culture. Robert Peston, ‘EU Law may force RBS and Lloyds to become English‘, BBC News, 5 March 2014. Robert Peston, ‘Is Standard Life alone?‘, BBC News, 27 February 2014. Reijer P Hendrikse and James D Sidaway, ‘Financial wizardry and the Golden City: tracking the financial crisis through Pforzheim, Germany‘, Transactions of the Institute of British Geographers 39 (2014): 195-208. David Harvey, ‘Roepke lecture in economic geography – crises, geographical disruptions and the uneven development of political responses’, Economic Geography 87 (2011): 1-22. A R Sorkin, ‘Towns in Europe learn about swaps the hard way’, The New York Times 16 April 2010. This entry was posted in Content Alert, Early View, Transactions of the Institute of British Geographers and tagged Baden-Württemberg, Benjamin Sacks, David Harvey, Development, Economic Geography, economics, EU, Eurozone, finance, Germany, Global financial crisis, Global Issues, Golden City, James D Sidawa, London, New York City, Pforzheim, Political Geography, Reijer P Hendrikse, Scale, Social Geography, Urban Geography on May 1, 2014 by Benjamin Sacks. The Future of European Aviation? The eruption of Iceland’s Eyjafjallajökul volcano on 20 March 2010 demonstrated the weaknesses in Europe’s diverse air traffic control network. As a massive ash cloud up to 8 kilometres high gradually extended across western Europe, forcing the cancellation of thousands of flights and stranding millions of passengers across the entire continent. Although European air controllers correctly prioritised passenger safety above all other factors, the scenario left many airline industry commentators and journalists frustrated with the European Union’s apparent inability to swiftly and effectively act on changing meteorological and airline information. With few exceptions, the maintenance of separate airspace quadrants by each EU member, each with different processes, response mechanisms, as well as external pressures from airlines and politicians, all contributed to delayed and even contradictory responses in London, Paris, Amsterdam, Berlin, and Oslo. In Eyjafjallajökull’s wake, the International Aviation Transportation Authority (IATA), in cooperation with the EU, proposed the establishment a single European air zone, divided into nine ‘functional airspace blocks’. Citing the current system’s woefully inefficiency – e.g., ‘With fewer air traffic controllers the United States FAA [Federal Aviation Authority] is able to deliver 70% more controlled flight hours than Europe]’ – the IATA / EU consortium called for a reorganisation, or ‘rationalisation’ of air traffic control hierarchies, technological modernisation, and substantially better (and more transparent) communication between national aviation authorities. Optimistically entitled ‘Single European Sky’ (SES), officials set a date of 4 December 2012 for its implementation. But, as Dr Christopher Lawless (Durham University) reminds us in his March 2014 Geographical Journal commentary, 4 December 2012 came and went with little change. 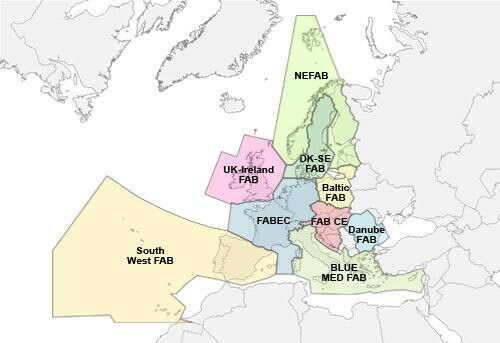 Only two of the nine blocks – Denmark-Sweden and UK-Ireland – had reached operational status. National-level aviation oversight bodies – intended to be the vanguard of transnational cooperation – had made little progress in communicating or facilitating with their neighbouring counterparts. Bickering, unsurprisingly, had early on replaced collaboration. At the EU Aviation Summit in Limassol, Cyprus, Siim Kallas, European Commission joint Vice President and Transport Commissioner, attacked EU states for ‘their “undue protection of national interests'” (Lawless p. 76). Of the seven non-operational airspace blocks, two (Iberian Peninsula and Central Mediterranean) had not even progressed beyond the ‘definition stage’ (p. 77). Fearing the loss of their jobs and the complete overhaul of learned ATC procedures, French and German air traffic controllers repeatedly threatened strikes. [T]he highest density region of European air traffic…spans a corridor encompassing the airspace of the UK, Belgium, The Netherlands, Luxembourg, France, Germany, Switzerland, Austria and Italy. Under the current arrangement, this straddles four separate FABs…(p. 78). Lawless concludes by calling for a comprehensive inquiry into sovereign states’ concerns, risk assessments, and considerations, and re-drawing the air space landscape in a more logical (and less state-specific) manner. Ultimately, he stressed that even such ‘apolitical’ projects as SES are unfortunately ridden with politics, negotiation, and self-interests. The SES debate will continue to fascinate observers for some time. Agonising, protracted discussions over the future of London’s airspace – the world’s busiest – between Conservative officials, led by Boris Johnson, and Labour opponents seem unlikely to end amicably, or soon. This regional crisis, combined with Britain’s current national debate over its long-term role within the EU, will only further complicate the SES’s possible re-development and implementation. Gertisser R, Eyjafjallajökull volcano causes widepread disruption to European air traffic, Geology Today 26.3 (May-Jun. : 2010), 94-95. IATA / EU, A Blueprint for the Single European Sky: Delivering on safety, environment, capacity and cost-effectiveness, 2011. Lawless C, Commentary: Bounding the vision of a Single European Sky, The Geographical Journal, 180.1 (Mar., 2014): 76-82. Sacks B, Eyjafjallajökull: Geography’s Harsh Reminder, Geography Directions, 18 February 2011. Q&A: EU response to Iceland volcano ash, BBC News, 25 May 2011. Iceland volcano ash: German air traffic resuming, BBC News, 25 May 2011. Hofmann K, French, German ATCs postpone strikes over Single European Sky, Air Transport World, 24 January 2014. This entry was posted in Content Alert, The Geographical Journal and tagged Air Controllers, ATC, Atmosphere & Biosphere, Christopher Lawless, Climatology, Economic Geography, EU, Europe, European Commission, European Union, Eyjafjallajökull, FAA, Federal Aviation Authority, Global Issues, IATA, Iceland, International Aviation Transportation Authority, Political Geography, Scale, SES, Single European Sky, Social Geography, United States on March 18, 2014 by Benjamin Sacks. With the Winter Olympics drawing to a close at the weekend, global attention has moved away from Sochi, at least until March 7th when the Winter Paralympics begins. The Sochi Winter Olympics have been notable, not only for the achievements of the athletes involved, but for their politics. The site itself was heavily monitored and policed to curb the activities of ‘extremists’ out to disrupt and injure, and many activists were arrested or forcibly moved from the location. But Sochi itself also took on a broader political symbolism as an emblem of the struggle for LGBT rights. Some states such as the US deliberately sent prominent gay sports people to Sochi to head-up their delegations, whilst many news outlets, such as The Guardian, The New Statesman and Channel 4 in the UK, took the opportunity to highlight their support for the cause of equal rights, particularly through the use of the symbolic rainbow flag. President Putin meanwhile notoriously told gay people that they were very welcome in Sochi but that they should leave children alone. The Sochi Winter Olympics then was a moment of contentious politics, created by the increasingly draconian laws being passed recently in Russia regarding LGBT rights, and the releasing of several prominent activists from prison, in the run up to when the world’s eyes would be on Sochi for the games. But there is also a complex spatiality to this contentious politics. In a study of the contentious politics of immigrant workers’ rights in the United States Helga Leitner, Eric Sheppard and Kristin Sziarto argued that it was important to understand the role of scale, place, networks, positionality and mobility in shaping and forming part of this politics. Scale is important to understanding the contested politics of Sochi, as movements and debates occurred at multiple overlapping and interrelating scales. From the policing or transgression of the micro-spaces around the Olympic site, to the scale of Sochi as a city which became an emblem of the LGBT rights struggle, to the scale of Russia as a country and legal and political context of the Winter Olympics, to the global scale of the Olympics itself with the world’s attention on developments in Sochi. These different scales interacted with one another, influencing other processes and producing new political effects, which in this case served to magnify the issue of LGBT rights beyond this one city. The politics of place are also clearly at play in Sochi, with the city becoming so much of an emblem of broader struggles for LGBT rights, linked to its fleeting importance at a site for a major sporting event. Sochi’s reputation as a resort for Russia’s wealthy and extravagant elite only served to increase the controversy around the games. Like with many other social movements and instances of contentious politics the topology of networks was important to the visibility of the LGBT rights struggle around Sochi, connecting Russian and Sochi-based activists to other LGBT activists globally, and importantly, being passed through high profile media networks from Twitter to the international news outlets. The struggle for LGBT rights was also passed through significant sporting networks, reaching far beyond the pool of athletes involved in this Winter Olympics to the delegations sent by other countries to the games, or to other sportsmen and sportswomen who chose this particular moment to be open about their own sexuality or to affirm their support of LGBT rights. The mobility of many members of these networks was also a significant factor in their success in making LGBT rights into such a significant issue around the games, whilst attempts to curb the mobility of activists’ and other individuals’ bodies around the Sochi site was an important way in which Russian authorities attempted to resist and undermine the struggle. Finally, Leitner and colleagues assert that socio-spatial positionality is also an important component of such politics, bringing into focus difference and inequality. In this case, the difference in Russia’s stance on LGBT rights was an important vector of difference in comparison to significant moves towards the fulfillment of LGBT rights, such as gay marriage, in much of Western Europe and North America, which had important implications for how the political struggle played out and was resisted by the Russian Government. But equally the struggle for LGBT rights around the Sochi Winter Olympics was very successful at forging alliances between different groups of activists, different national LGBT rights movements, and between activists and sports people or sports fans. That prominent news outlets also felt the need to show their support to the cause shows the strength of such alliances. Attention to the complex spatialities of social movements and contentious politics, such as the LGBT rights struggle, can illuminate the interactions of different tactics, arenas, allegiances and oppositions in the movement, as well as highlighting the multiple locations or levers of the political struggle ‘on the ground’. This entry was posted in Transactions of the Institute of British Geographers and tagged activism, Contentious politics, LGBT rights, Networks, place, Political Geography, positionality, protest, Russia, scale, Scale, Social Geography on February 28, 2014 by helenpallett. Entrepôts, freeports, bonded warehouses… these terms refer to special economic zones in which regulations are relatively relaxed in comparison with those of surrounding jurisdictions. Such spaces are often part of international trading networks and may be analysed to gain insight to financial relations across and within bounded spaces. Guernsey (Channel Islands) is one example of an historical entrepôt. During the 17th and 18th centuries, it developed a key role in Anglo-French trade in wine, spirits and tobacco. Not only was the island strategically located between France and England, but it was used by both countries, at different time, to reduce the costs of import/export. Today, Guernsey provides another example of a special economic zone through status as an offshore financial centre. The attractions of such spaces (security, tax advantages (relative to mainland jurisdictions) and confidentiality) are also found in a growing number of freeports. Freeports refer to repositories at airports that are becoming increasingly popular places to store and trade valuable or luxury goods. You can read about them in a recent article from The Economist (2013). 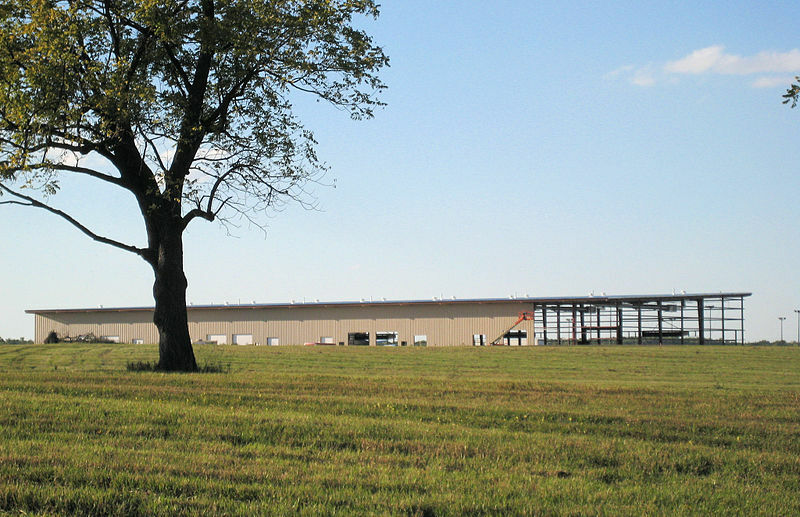 Goods may arrive by plane, be transported to freeport warehouse (literally alongside the runway), and then traded without incurring import or other taxation duties. This occurs partly because goods in freeports can be considered ‘in transit’ – neither ‘here’ nor ‘there’ (another interesting link for geographers might be how this connects with ‘mobilities’). The Economist suggests that rising interest in freeports is entangled with global processes and regulations that have evolved since the start of the financial crisis. It is here that I wish to make a link with a new TIBG paper by Hendrike and Sidaway (2013), and their exploration of how the global financial crisis was mediated in one very specific place: Pforzheim, southwest Germany. Pforzheim is treated as a ‘glocal’ display of the crisis in which financial decisions were taken at the local level but complexly interlinked with broader processes and structures of financial capitalism. Through this study, Hendrike and Sidaway provide a symptomatic example of how the financial crisis was mediated through particular scales and polity. It is not the intention here to present these spaces as negative or deviant, but as localised or ‘bounded spaces’ in an interconnected world. A commonality between entrepôts, freeports and Pforzheim, is the way in which global issues (such as the financial crisis or trade networks) are interpreted, negotiated and contested through bounded spaces; examination of which can inform out understanding or broader processes and structures. The Economist (2013) Freeports: Uber-warehouses for the ultra-rich. This entry was posted in Area, Early View, Transactions of the Institute of British Geographers and tagged Economic Geography, entrepots, finance, free economic zones, Freeports, Global, Global Issues, glocalisation, Guernsey, international trading networks, Political Geography, scale, Scale on December 10, 2013 by fionaferbrache. ‘Terroir’ is not a word to be found in my Dictionary of Human Geography, but geographer Tim Unwin (2012) locates the notion of terroir “at the heart of Geography”. While this French word is frequently used to talk about food and wine production, it can also be linked to a sense of place and other key geographical ideas. A recent article from The New York Times entitled ‘Vive le Terroir’ reappeared in the International Herald Tribune as ‘A sense of place that defies globalization’. The narrative introduces a family who reside in the rural village of Castelnau de Montmiral, South West France. 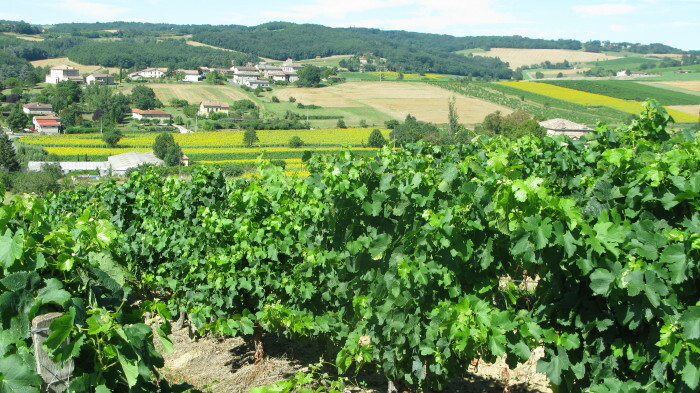 It explains the family’s deep and emotional connection to the land (Jérôme is a farmer), to the extent that one “knows every inch, every stone, and which parcels are for what”. It describes terroir. The article defines terroir as a concept “almost untranslatable, combining soil, weather, region and notions of authenticity, of genuineness and particularity – of roots, and home – in contrast to globalized products designed to taste the same everywhere”. The elements of soil, weather and region are important here, but the quotation also captures notions that are keenly geographical: roots and home (dwelling perhaps), as well as authenticity and genuineness. The ideas also capture a sense of knowing a place through practice and performance, as well as debates that examine local and global geographies of food production and consumption. This latter theme ties in well with an article by Bathfield, Gasselin, López-Ridaura and Vandame (2013), exploring impacts of globalisation on small-scale coffee and honey producers in Guatemala. Their paper examines, in particular, how smallholders responded to market shocks during a period of coffee crisis. It is the research methodology that is of particular interest, in relation to the newspaper article above, for Bathfield et al. contribute to a growing field of studies at the level of the smallholder household (SHh) by exploring what unfolds within families. The methods, for example, include family life histories; a technique that captures the individual emotional links and sense of identity between the smallholders and the land. While it is widely understood that rural smallholders are increasingly connected to international markets (Bathfield et al. p.1), there are those families, such as the newspaper’s example, for whom the essence of particular local knowledge (local at the scale of an inch, or a stone), is something to value, cherish and pass on to future generations. Terroir is central to the continuation of their way of life. The idea of terroir then, is not all that distant from geographical concepts, and may be useful as a tool for capturing a notion more deeply in qualitative or ethnographic research at the micro-level. This entry was posted in Early View, The Geographical Journal and tagged Biogeography, Castelnau de Montmiral, coffee, Cultural Geography, dwelling, Environment and Society, farming, Global Issues, Scale, sense of place, smallholder household, Terroir on September 10, 2013 by fionaferbrache. ‘The Rock’ looms large in political and geographical discourse. © 2013 Wikimedia Commons. As is the case every few years, Gibraltar recently returned to many newspapers’ front pages as London and Madrid exchanged heated words over the British-controlled territory. Speaking to reporters after meeting with Gibraltar’s Chief Minister, Fabian Picardo, Prime Minister David Cameron stated that ‘the UK would always stand up for the British territory and the interests of its people’. Spain’s Foreign Minister, Jose Manuel-Margallo, responded that Gibraltar ‘is, has been and will be a national priority’. But why? I walked round the mountain and saw the marvellous works executed on it by our master (the late Sultan of Morocco) Abu’l-Hassan, and the armament with which he equipped it, together with the additions made thereto by our master (Abū ‘Inān), may God strengthen him, and I should have like to remain as one of its defenders to the end of my days. Should De Brazza ever reach the Congo in his present expedition, and succeed in establishing himself at Mfwa, it is rumoured that he would like to take Calina Point and make it the Gibraltar of the [Stanley] Pool, and then with this fortified post and the station of Mfwa opposite he would be able to close, if necessary, the mouth of Stanley Pool where it commences to narrow into the rushing lower portion of the Congo. In 1915, P M Sykes similarly invoked The Rock to describe Kala Márán, a mountain near the village of Pá Kala in Persia. Gibraltar’s position extended far beyond the Mediterranean and European Atlantic. It proved to be an ideal replenishing site for expeditions in Africa, the Middle East, the Americas and, after the completion of the Suez Canal in 1869, the Indian Ocean. Writing in The Geographical Journal months before the outbreak of the First World War, Rudyard Kipling reduced the Britain-to-India route to four essential steps: ‘London-Gibraltar; Gibraltar – Port Said; Port Said – Aden; Aden – Bombay’. Its pivotal location also greatly aided British and allied efforts during the First and Second world wars, and in a number of Cold War-era conflicts, including Suez, Aden, Malaya, Dhofar, and the Falklands. The Royal Geographical Society was quick to discuss the Gibraltar issue following Spanish dictator Francisco Franco’s decision in 1969 to close the border with the British colony. That year, John Naylon described how Spain intended to recover Gibraltar via the creation of an economic and social development around the peninsula: the so-called Campo de Gibraltar. Madrid indeed invested in the region’s growth, but Gibraltar steadfastly refused to revert to Spain. Gilbard, G J, 1881, A Popular History of Gibraltar, Its Institutions, and Its Neighbourhood on Both Sides of the Straits, and a Guide Book to Their Principal Places and Objects of Interests, London, 52. Kipling, R, 1914, ‘Some Aspects of Travel‘, The Geographical Journal, 43.4: 365-75. Johnston, H H, 1883, ‘A Visit to Mr. Stanley’s Stations on the River Congo‘, Proceedings of the Royal Geographical Society and Monthly Record of Geography, New Monthly Series, 5.10: 569-81. Murchison, R I, 1867, ‘Address to the Royal Geographical Society‘, Journal of the Royal Geographical Society of London, 37: cxv-clix. Norris, H T, 1959, ‘Ibn Battūtah’s Andalusian Journey‘, The Geographical Journal, 125.2: 185-96. Osborn, S, 1873, ‘On the Probable Existence of Unknown Lands within the Arctic Circle‘, Proceedings of the Royal Geographical Society of London, 17.3: 172-83. Sykes, P M, 1915, ‘A Seventh Journey in Persia‘, The Geographical Journal, 45.5: 357-67. ‘On This Day: 1982: Spain’s Rock Blockade Ends‘, BBC News. 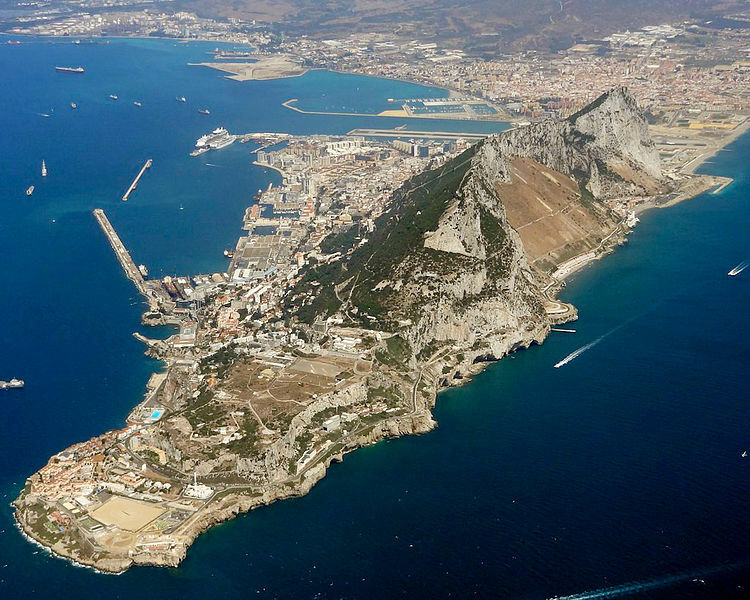 ‘Gibraltar: Talks on sovereignty discounted by UK and Spain’, BBC News, 3 September 2013. This entry was posted in The Geographical Journal, Transactions of the Institute of British Geographers and tagged Congo River, Cultural Geography, David Cameron, Development, Economic Geography, European Union, Fabian Picardo, Gibraltar, Global Issues, H H Johnston, H T Norris, Ibn Battūtah, Jose Manuel-Margallo, London, Madrid, NATO, P M Sykes, Pero López de Ayala, Pietro Paolo De Brazza', Political Geography, Roderick Impey Murchison, Scale, Sherard Osborn, Social Geography, Spain, The Rock, Treaty of Utrecht, United Kingdom, Urban Geography on September 4, 2013 by Benjamin Sacks. The $250,000 burger: towards a new moral economy of meat-eating? On Monday afternoon at a West London press conference, reporters witnessed a world first: the eating of a pioneering laboratory-grown hamburger. The carefully orchestrated spectacle also reached a further audience worldwide, as this pricey mid-afternoon snack was streamed live onto thousands of PCs, whilst others joined in the conversation on twitter with the hashtag #culturedbeef. Media reporting on this event has been quick to point out the potential of this emerging technology to alleviate pressing food security and distribution problems, and to reduce the environmental impacts of meat production. The arrival of the new burger has also been celebrated by animal rights advocates, such as the philosopher Peter Singer and the activist group PETA, as opening up a new market of cruelty-free meet. The event has raised challenging questions which have stimulated wide-ranging debates across the traditional media and new media. Are there any meaningful differences between this stem cell burger and ‘natural’ meat? How do we know that it is safe to eat? What stance should vegetarians take? Can a lab-based food source prove to be a sustainable alternative to other low carbon, low impact diets based on low meat intake and local or organic food? And of course, does it taste any good? The press conference focused on demonstrating the safety of the new product, but also brought together a group of food writers and journalists to attest to the meat-like taste and texture of the burger. What was not under the microscope were some of the broader moral and economic questions, covering scales beyond the object of this solitary burger, spanning temporalities beyond the specific event, and concerning the whole of the production chain. In a 2009 paper, Peter Jackson and colleagues used the term ‘moral economy’ to describe how ethical and moral concerns were expressed across time and space, and in relation to the diverse practices and processes involved in the production of different food products. Whilst Jackson’s paper was concerned with the morals and markets of the supply chains of chicken and sugar, their framework also helps to shed light on the moral economy of this newest of products. The answers to questions such as ‘how different is this new meat?’ and ‘is it suitable for vegetarians?’ depend not only on which ethical frameworks we use but also where we choose to look, through space and time. The in vitro burger is made up of muscle tissue, the substance which would also account for the majority of any normal beef burger that you could pick up in the local supermarket. The scientists have also been careful to reassure potential consumers that there have been no ‘unnatural’ chemicals added to the burger. In this sense then, perhaps there is no meaningful difference between the two kinds of beef. 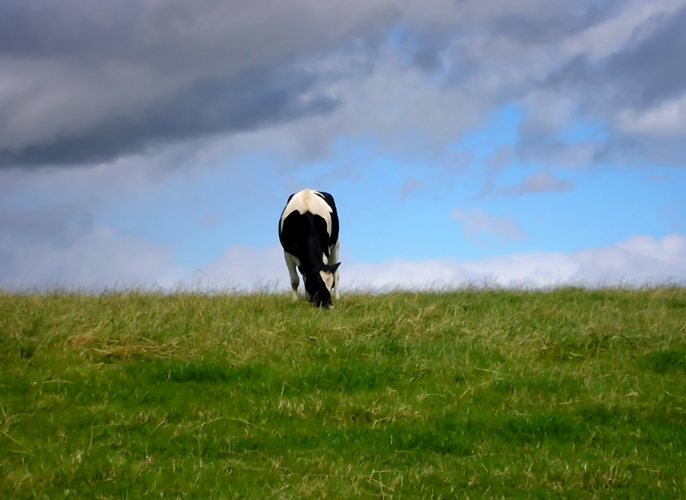 But the processes that went into making the new burger, do set it apart, and this is why it is possible to claim vast environmental benefits of in vitro meat. A small amount of muscle cells are harvested from a living cow and are then nurtured in the lab so that they grow and multiply. This process takes around 3 months, much shorter than the life of the average cow when it enters the slaughterhouse. The carefully controlled laboratory process also means that there is no fat in the meat to give it flavour, so this instead came from the use of ‘natural’ flavourings such as beet. On the question of the response of vegetarians, the the texture and taste of the burger itself has been likened to the meat substitute quorn. When we broaden our gaze to the production processes as well, the burger has been welcomed as cruelty-free (and therefore implicitly vegetarian friendly) meat by many advocates as it requires the painless removal of muscle cells rather than the slaughter of a cow. However, when the micro-scale laboratory processes which go into the production of the meat are also brought into the frame the use of calf serum – a slaughterhouse product – to nurture the stem cells comes into view. Another aspect of the moral economy of the new burger which has been relatively unexplored in the media coverage is its situation in broader economic and market structures. The making of the in vitro burger was bank-rolled by the much-criticised Google co-founder Sergey Brin, citing animal welfare concerns but also with interests in the market potential of this emerging product. In the liberalised and globalised modern food industry does this product bring into being new moral economies or will it simply be moulded by existing ones? This entry was posted in Transactions of the Institute of British Geographers and tagged Emerging technologies, Environment and Society, ethics, Food, food production, Global Issues, neoliberalism, Scale, sustainability, technology on August 7, 2013 by helenpallett.